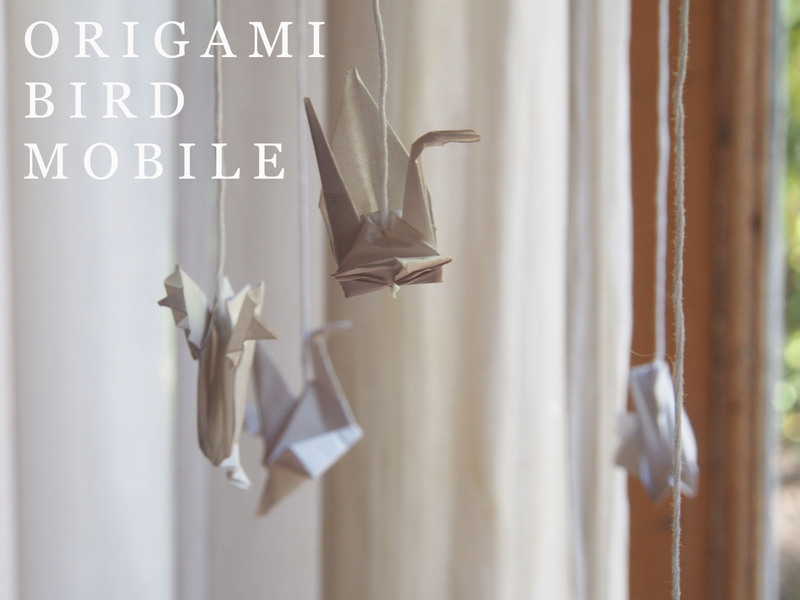 Assorted origami birds – I found out how to make these birds here, here and here. Step One: Cut three pieces of embroidery thread, long enough to meet in the middle of the circle, about 25 cm (depending on the size of your embroidery ring.) This will be the top of the mobile where you hang it up. 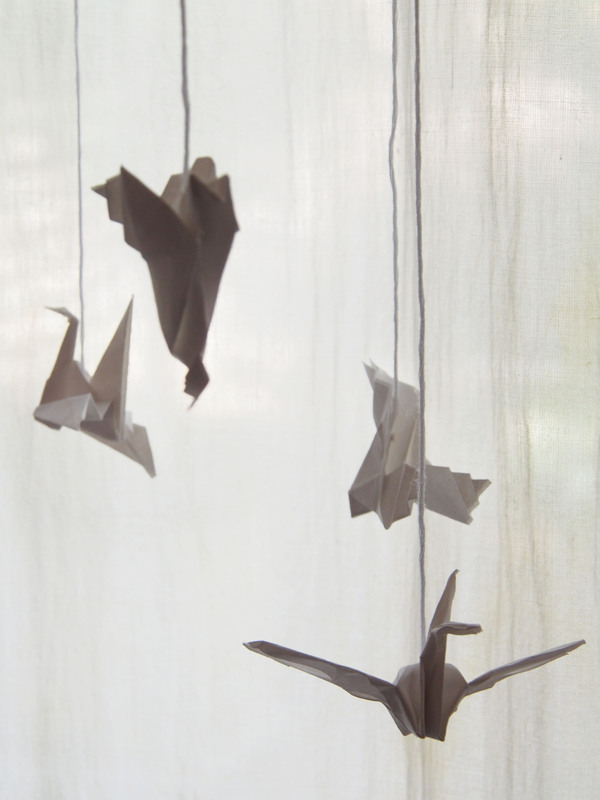 Step Two: Work out the positioning of the origami birds – where you want them to hang. 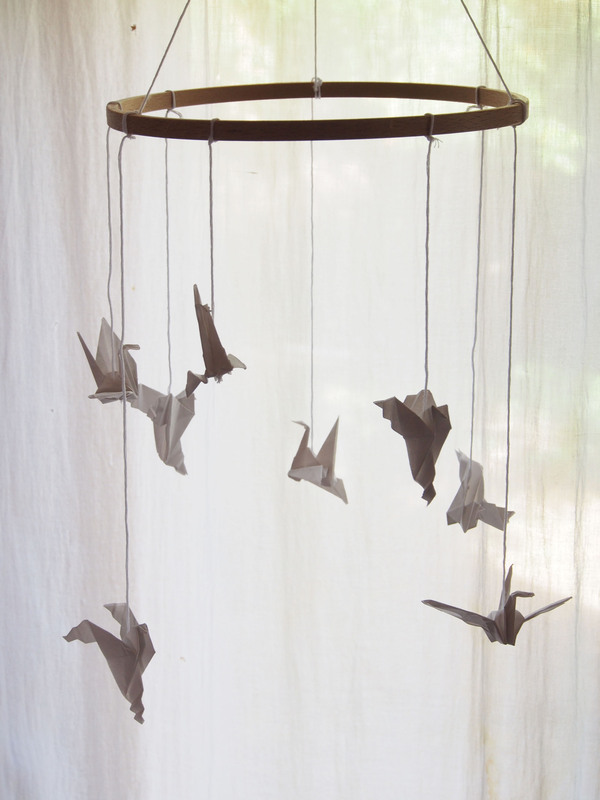 Step Three: Measure how far you want the birds to hang down. Mine vary in length, the longest is about 25 cm.